A Holiday Highlight at Laughing Moon Chocolates in Stowe, Vermont. 11 o’clock each day plus 2pm on Saturdays. Laughing Moon Chocolates’ Homemade Candy Cane demonstrations have become a holiday tradition. 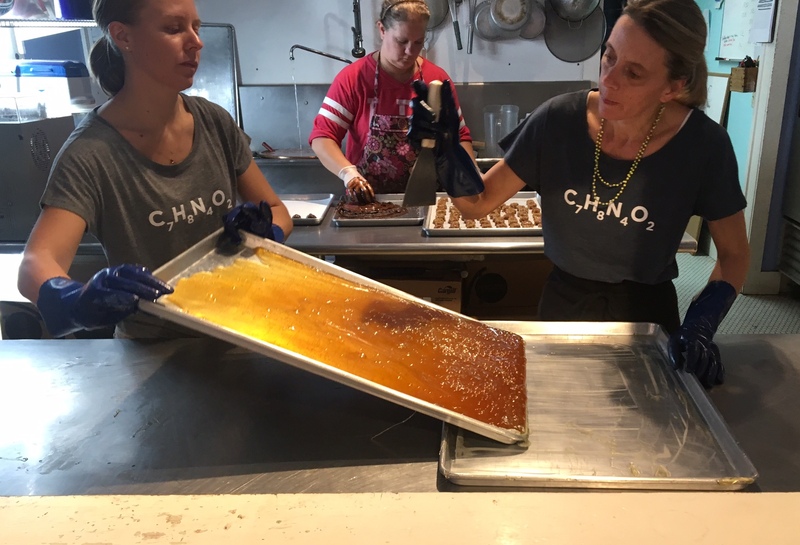 The public is invited to watch as candy makers boil, pull, turn, roll, and twist these special Candy Canes into works of art which are both beautiful and delicious. Demonstrations are free to watch and you can make your own candy cane for $6.00 per person. Laughing Moon makes Candy Canes in five flavors: peppermint, spearmint, cinnamon, wintergreen, and maple. 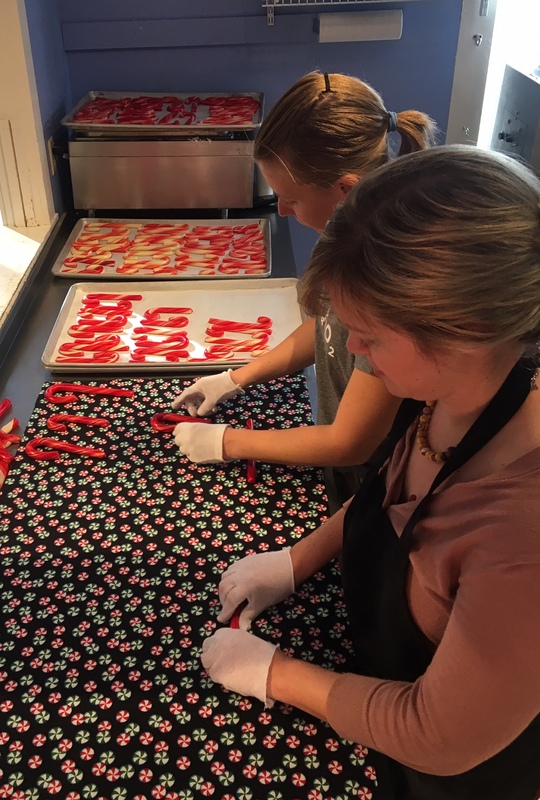 Candy Cane making demonstrations are a fun, family oriented event which takes place at Laughing Moon Chocolates on Main Street in Stowe Village. Candy Cane Making Demonstrations begin promptly at 11am each Friday, Saturday and Sunday between November 23rd and December 23rd. Plus, Laughing Moon has an additional demonstration at 2pm on Saturdays. Here is how it works: Space at Laughing Moon is limited so they take guests on a first come, first serve basis. Reservations are no longer accepted. Guests will be given a number upon arrival and served in that order as long as there is candy cane available. When you attend a demonstration and make your own candy cane admission is free to watch and $6.00 per person to make your own Candy Cane. For more information call (802)253-9591. The folks at Laughing Moon do their best to accommodate everyone but be prepared, it does get crowded.